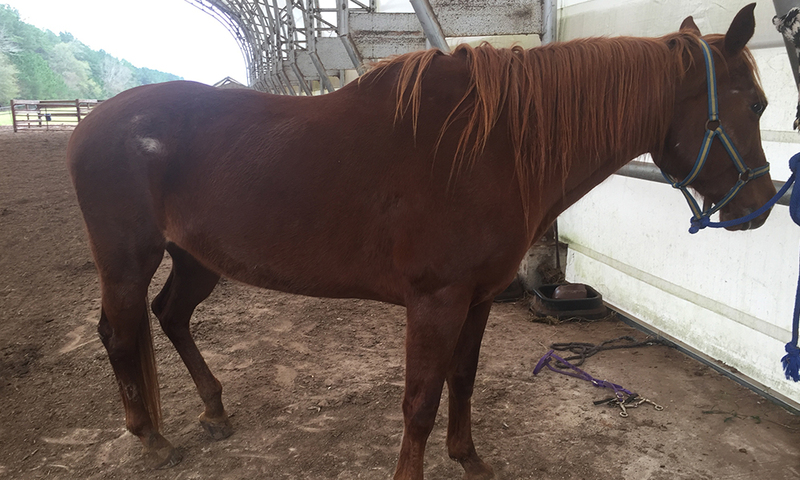 Rusty Red is an 18 year old Quarter Horse. 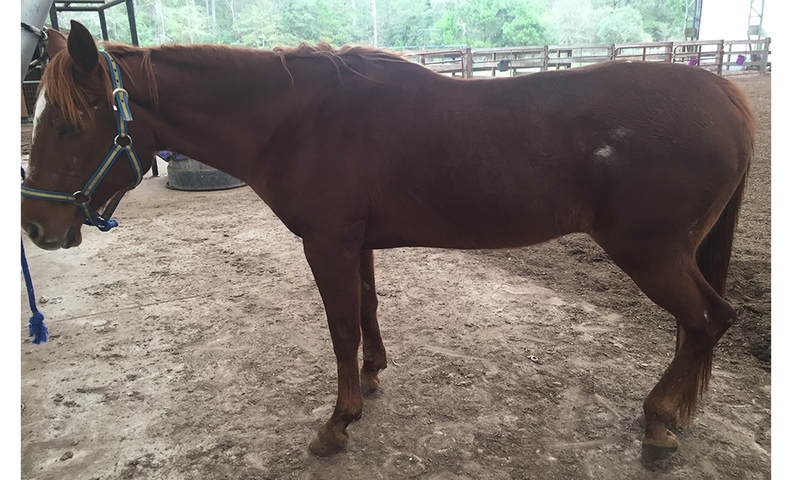 She was recently evaluated by our trainer and accepts a saddle, cinching and accepted a mounting block. She had no problem with pressure in the stirrups but does not stand still for mounting at this time. Please call us for more information.